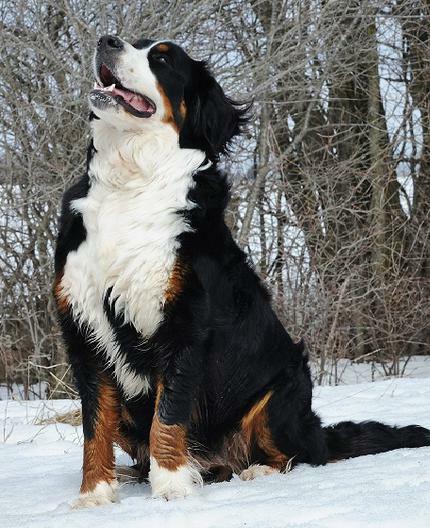 SwissRidge’s Lulu Lemon is one of the most stunning of many gorgeous dogs produced by my mom. Yes, I admit that I named Lulu after the clothing company; I pretty much keep Lululemon in business. It’s what every stylish dog breeder is wearing! Lulu is not only a beauty, but a real character. She has such an amazing charisma about her with such an amazing energy. 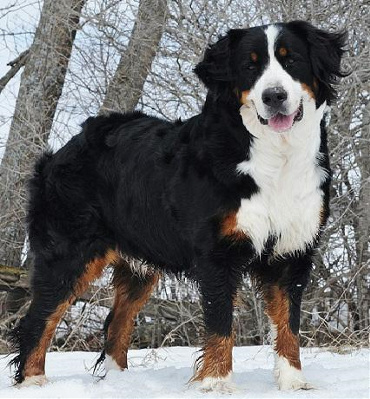 She is calm, very affectionate and great with other dogs. She loves being with people and follows us around all day long without leaving our side. She is very attached to us and I call her our little shadow. She loves to snuggle on the couch and watch movies or sleep in bed. I have to admit since she is such a gentle, laid back and passive dog we do let her get away with this. She loves to go for hikes but only on cool days. On a hot summer day she prefers to chill under a tree or in our pond. She is great with all the other dogs and I would call her the mother bear. She has a very sweet and nurturing nature about her. There is not one dog in my kennel that doesn’t like her and she loves everyone of them. She has had a few litters now and they were stunning. Many of her pups have that perfect personality that I see in Lulu and if she is the mother of your puppy you will have one amazing little pup. 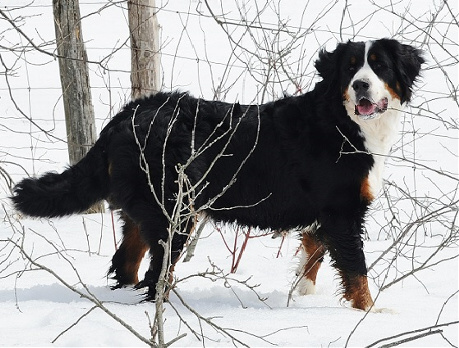 Lulu’s mom, Sabrina, is an extremely sweet, quiet, intelligent Bernese, who passed the hip, elbow and joint conformation tests with flying colors. Sabrina’s mother, Hannah, also has sound hips and elbows, and a great temperament. Hannah’s mother is Heidi, a first generation direct import from Hungary with sound hips and elbows. 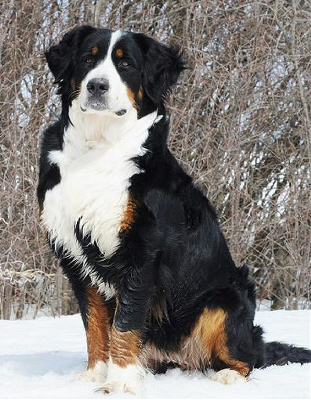 Sabrina’s father is Arcadian’s Drapped Over Ron, who has a big, strong body structure and a sweet temperament. His hips are excellent, his elbows sound. He has an amazing background, his father being Cherokee Jack, whose parents are direct Imports from Czech Republic and Slovakia, and his mother, Cherokee Sally whose parents come from Hungary. 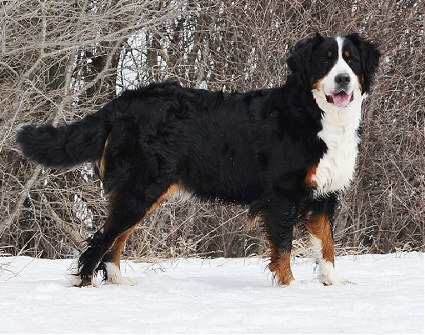 As for Lulu’s father, Colbert, he is one of my mom’s finest Bernese Mountain Dogs, and he’s sired many amazing Bernese and Bernedoodle pups. Colbert is confident, calm and good natured. 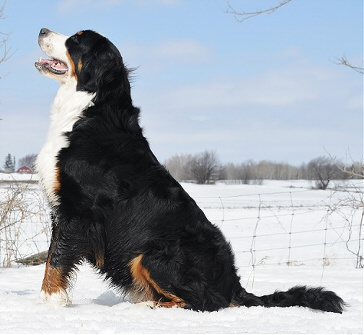 His body structure is large and strong—clearly designed for the draft and carting work for which the Bernese were initially bred. Colbert has excellent conformation and his markings are striking. His hips are excellent and his elbows negative for dysplasia. His heart is sound. 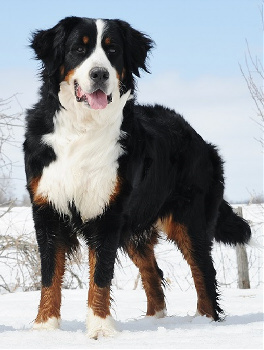 His mother is Nellar, his grandmother is Veruschka, and his grandfather is imported Belgium Champion, Daiko—all of whom are owned by my mother. Colbert’s father is Dominique, whom we imported from a fabulous kennel in France after a year-long wait. 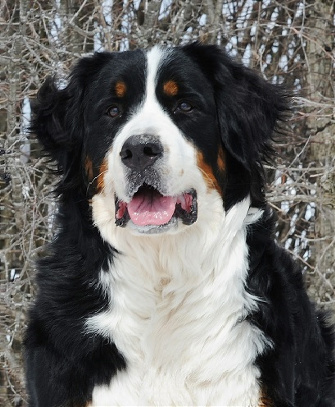 You can find out more about all of these dogs on my mom’s website. 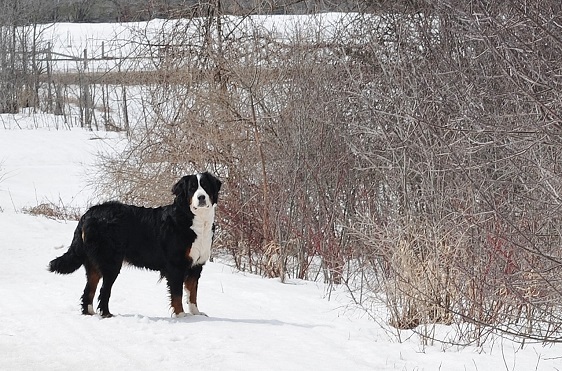 It’s truly exciting to have one of her fourth-generation dogs in my breeding program. I love that we not only know the ancestors’ pedigrees and health records, but also know their personally.